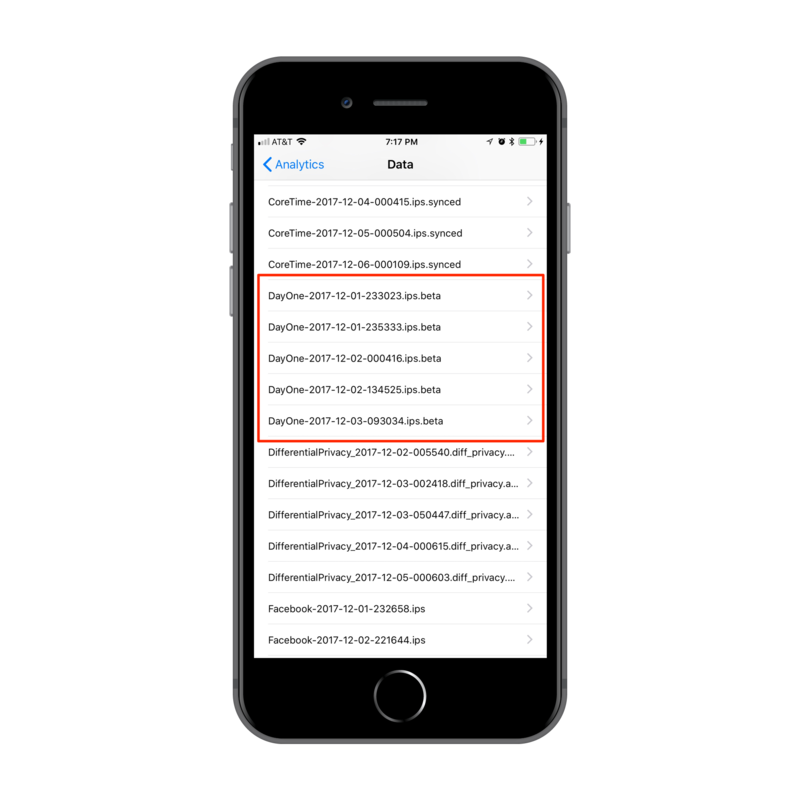 To help troubleshoot some bugs, the Day One Team may need you to submit crash logs from your iOS device. Scroll through this list to find Day One events. See screen shot below. The list is alphabetical. Email it to support@dayoneapp.com with "Attn: [customer support rep]" in the subject line. Select the crash logs for Day One, then CMD-Click the items to pull up the contextual menu. Email the .zip folder to support@dayoneapp.com. Connect your iOS device to your PC using your iOS connector cable. 4. Locate the Day One crash logs. The filenames start with "DayOne" and contain a date stamp. 6. Email the .zip folder to support@dayoneapp.com.